Phacelia is a quick-growing, cold- and heat-tolerant flowering plant that is native to the Southwest United States. It is used in agriculture both as cover crop and as an attractant for beneficial insects. 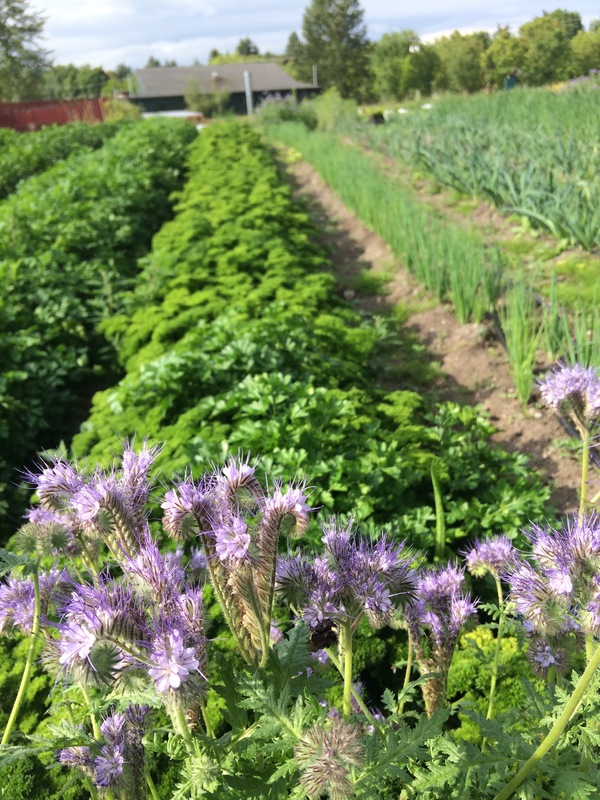 As cover crop, Phacelia gets about four feet tall and has deep roots that capture and hold nutrients and increase soil organic matter. 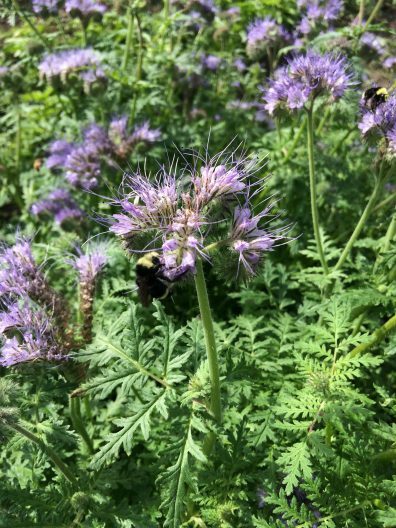 At the UW Farm, we mainly use Phacelia as an insectary plant. Its long curvy inflorescences of bell-shaped flowers buzz audibly on sunny summer days, boiling with pollinating and predatory insects that benefit our food crops. Phacelia can be sown directly on the edges of your vegetable (or ornamental) garden, but also does well when planted indoors and transplanted out. It survives in temperatures as low as 18 degrees, and grows in a wide range of soil types. It will promptly re-seed itself after it has finished flowering, but is easy to weed out if unwanted. Special thanks to UW instructor and great friend of the farm, Beth Wheat, for introducing us to this wonderful plant! Common Name: lacy phacelia, blue tansy or purple tansy.